South Coast Party Hire is a family owned and run business located in Shellharbour. Established over nine years ago we provide end to end hire solutions that bring your vision to life. We love what we do so our team of sales and event coordinators work closely with you to understand your needs, sharing ideas and inspiration along the way, so you get a personalised experience and fantastic results. Our warehouse and delivery team are determined to consistently provide the best service and quality. We constantly strive to set the standard in our field. From classic marquees to pagodas and elegant sailcloth Sperry Tents, the range and quality of our structures is unsurpassed in the region. Let the experts at South Coast Party Hire inspire and help you. 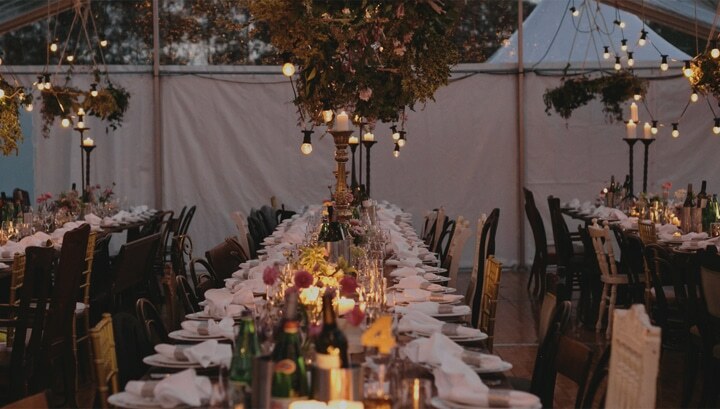 From beautiful parks, lush wineries, rustic country properties, or cosy community halls, our Venues page will help you find the perfect location and venue to suit your needs. Our Blog is a great way for you to keep up to date on new products and upcoming trends, be inspired by real weddings and stay in tune with our news. If you are in need of a caterer, photographer, stylist, celebrant or more we have the definitive Vendors list, and visit our Gallery for visual inspiration on how our product range can create the ‘wow’ factor at your event.